A group of employees at a Vancouver, Washington, coffee shop stopped what they were doing to console a grieving widow, while another customer shot a beautiful photo of the scene. 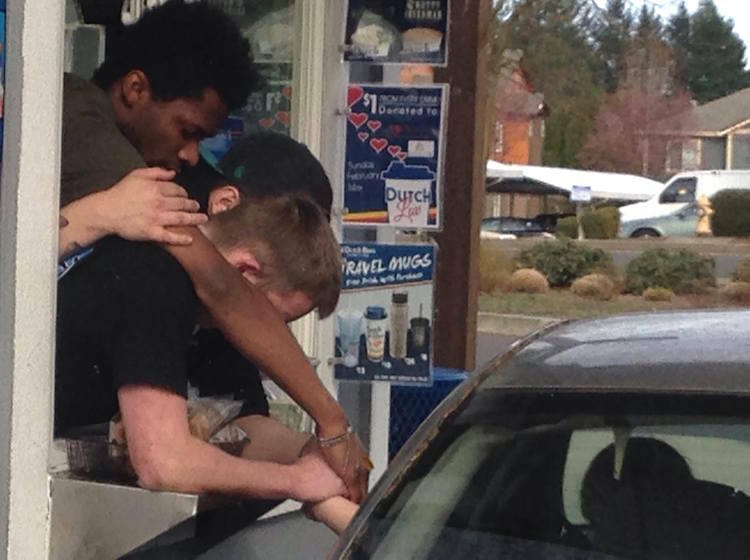 A Dutch Bros. worker noticed the young woman was distraught while ordering from her car. Her 37-year-old husband had just passed away the night before. When the drive-thru cashier offered to pray with her, other employees also wanted to hold her outstretched hand. The March 19 photo was snapped by Barbara Danner, who was in the car behind and later posted it to the Dutch Bros. Facebook page. 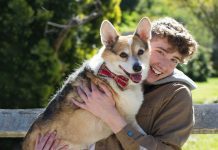 The comments on the page confirm that many others have experience this level of customer service from Dutch Bros., which began in Oregon, but now can be found in dozens of locations stretching to Arizona. SPREAD the Caring by Sharing!